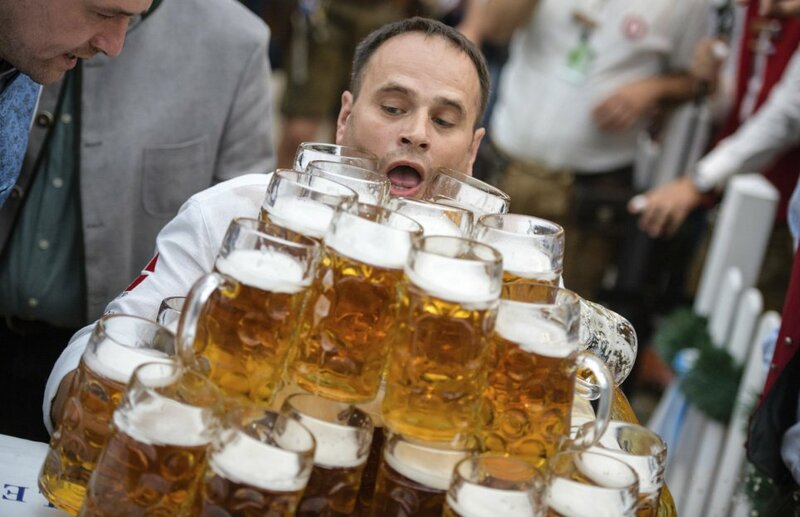 German man identified as Oliver Struempfel has broken a world record for carrying several mugs of beer without spilling a drop. 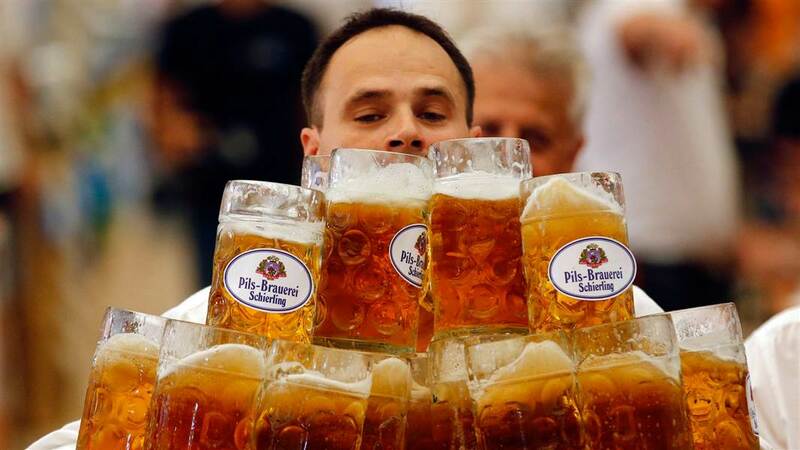 Having to complete a walk over a 40-metre course then place the steins down without spilling more than 10 per cent of the beer, Struempfel set a new record of 27 on his first attempt of the day, before then bettering it again on his second attempt. 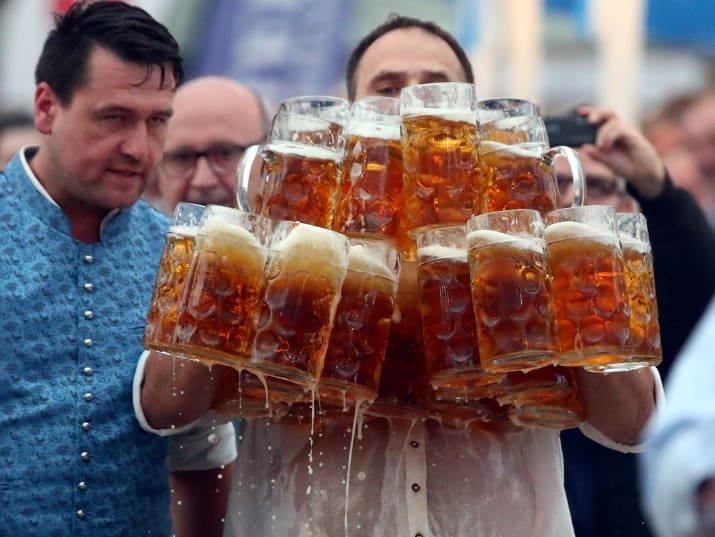 He tried to carry 31 of the glass jugs, which each carry a litre of beer, and would have been a total weight of around 70kg, and although two of the jugs fell at the last moment as he was placing them down, the 29 he managed still counted for the new record. “Unfortunately it didn’t quite work, but having managed to put 29 down…I think it’s amazing!” said Struempfel, who had been training at the gym three or four times a week since February in preparation.